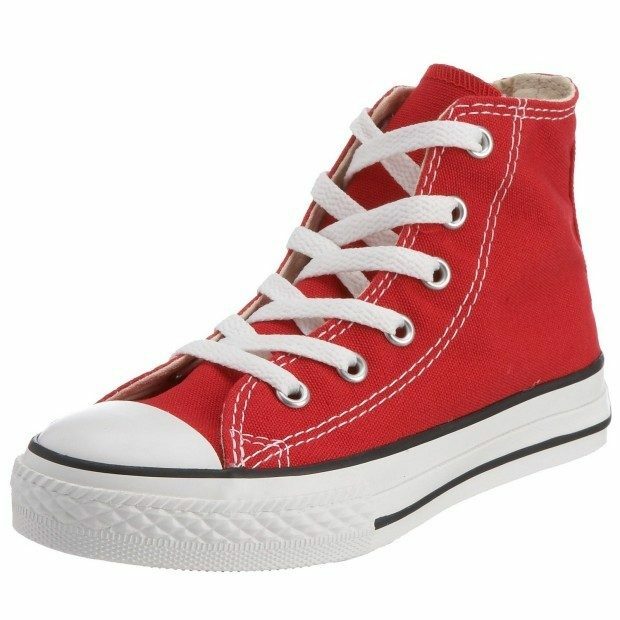 Converse Kids Chuck Taylor All Star Core Hi Tops Starting At $17.39! You are here: Home / Great Deals / Amazon Deals / Converse Kids Chuck Taylor All Star Core Hi Tops Starting At $17.39! Head to Amazon to pickup the Converse Kids Chuck Taylor All Star Core Hi Tops Starting At $17.39! FREE shipping on orders of $35+ or if you have Prime! In 1908, the Boston-based Converse Rubber Company began making sport shoes. Years later when Chuck Taylor joined the company, the legendary Converse high-top was born. Its history is forever entwined with two other American intuitions: basketball and rock ‘n roll. “Chucks”-and every modern Converse evolution that’s followed – have become standard issue for generations of players, rockers, skaters and rebellious souls!